Every once in a while an album comes out which signals a band's arrival, a collection of songs which makes you stop, backtrack, restart, and close your eyes. Sounds which are familiar yet unique, crafted into songs which require multiple listens because of their meaty complexity. Jagwar Ma's brilliant sophomore album Every Now & Then is exactly this kind of album, and is easily one of the best releases of 2016. Howlin', their critically acclaimed debut which dropped in 2013, is a collection of songs from multiple influences - Motown to psychedelia, Krautrock to 80s alternative. As great as the songs are they struggle at times to feel cohesive as an album. EN&T is a different beast. It is equally as complex, but drastically tighter. The songs range up to seven minutes, allowing the grooves to establish themselves, but without the feeling of overstaying their welcome. This album feels as if it was crafted from a single piece of steel, not built in pieces and welded together. The cohesiveness of the listen is purposeful and brilliant. Opener "Falling" begins with a single drone note, like a tea kettle at full boil. Bass line and ghostly background vocals slowly take over the note, transitioning to "Say What You Feel", which begins with a gently strummed guitar. It's a great pop song that easily could have been on Howlin' but on EN&T it feels transitional, bridging the old sound to the new. Third track "Loose Ends" begins the transition, full of funk and grind with one of the sexiest lyrics ever - "Your lips match your toenails". Gabriel Winterfield's overdubbed vocals perfectly compliment multi-instrumentalist Jono Ma's machinations. "Give Me A Reason" is flat out fun, a similar vibe to Detroit's Jr. Jr., channeling the Jackson 5 and a finger snapping George Clinton. "Batter Up" adequately follows, leading into the albums highlight "O B 1". This is an epic stadium-ready song with a growling Trent Reznor soul. Again, Winterfield's vocal provides ballast for the music. The chorus "You warm me up, you wore me down, I get the feeling now" is going to have a lot of sweaty bodies on the dance floor. Penultimate song "Don't Make It Right" provides a cerebral psychedelic interlude before the album ends with "Colour of Paradise", an amalgamation of Tame Impala, The Big Pink and Friendly Fires. These two songs provide iron-clad confirmation that the guitars that were dabbled with on "Howlin'" have been replaced with banks of synths and drum machines. It has the feel of a catharsis. 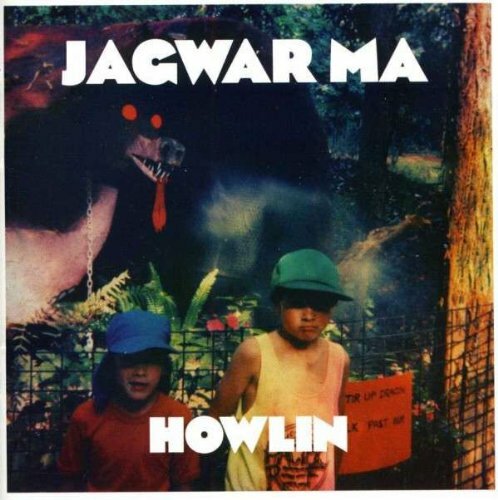 Jagwar Ma is a band whose love of all music jumps out of the speakers. The ability to take musical influences and create a fresh sound makes for a listening experience one wants to have over and over. Every Now & Then is a blast to listen to, one hell of a sonic party which I think is going to go deep into the night.